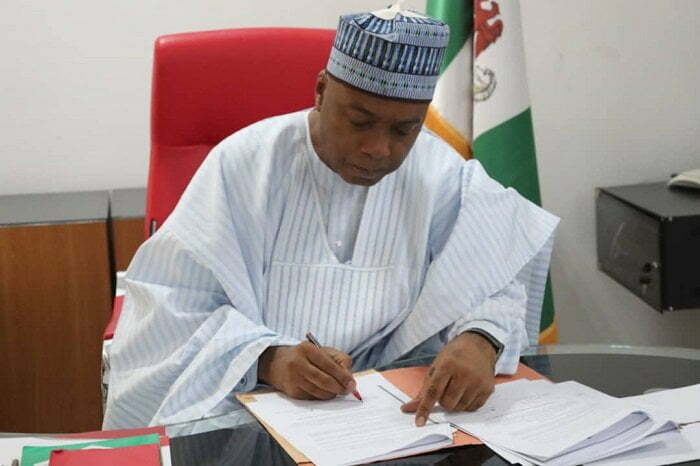 Senate President Bukola Saraki on Wednesday signed the National Minimum Wage Bill, 2019 (SB 722) as passed by the Nigerian Senate. 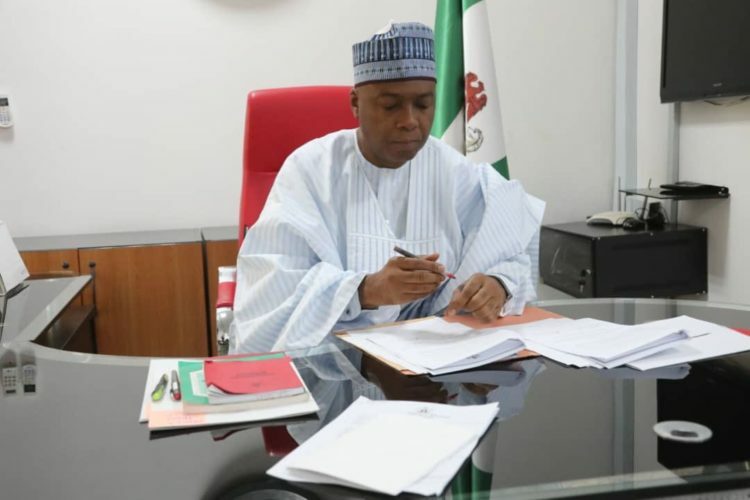 As earlier reported by Naija News, the Senators had earlier on Tuesday, adopted the N30,000 figure as the proposed new minimum wage for Nigerian workers. The Bill had also earlier successfully gone through third reading on Tuesday. The lawmakers had promised to give an accelerated hearing to the bill to ensure workers start benefitting from the new figure as soon as possible. 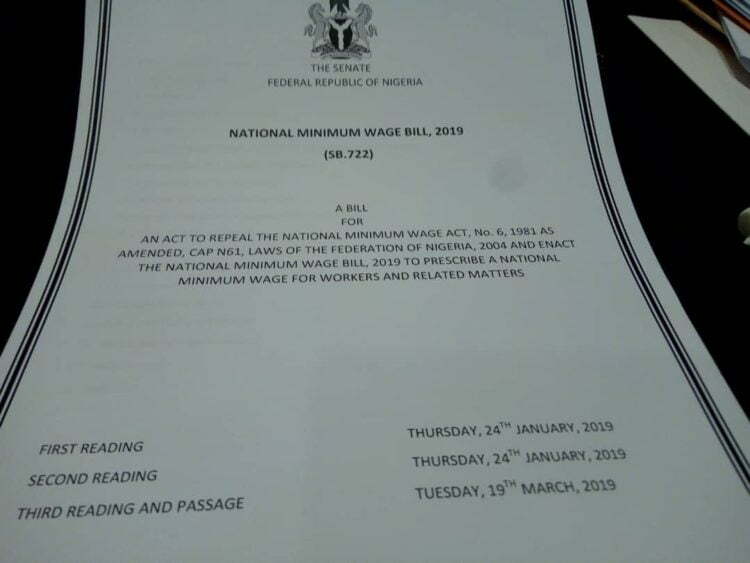 The lawmakers in the House of Representatives had earlier adopted the N30, 000 figure as the new minimum wage and their Senate counterparts have now followed suit. The bill needs presidential assent from President Muhammadu Buhari before it can become operational. Davido To Perform At Dreamland Festival In U.S.